Santos Uy and Avner Lavi first met back when Lavi was working in the kitchen of Uy’s restaurant Papilles about five years ago. Despite the fact that Lavi quit six months into the gig, the restaurateur and the chef have remained friends, and, starting today, they’ll be officially working together again at their new lunch pop up Cento Pasta Bar. 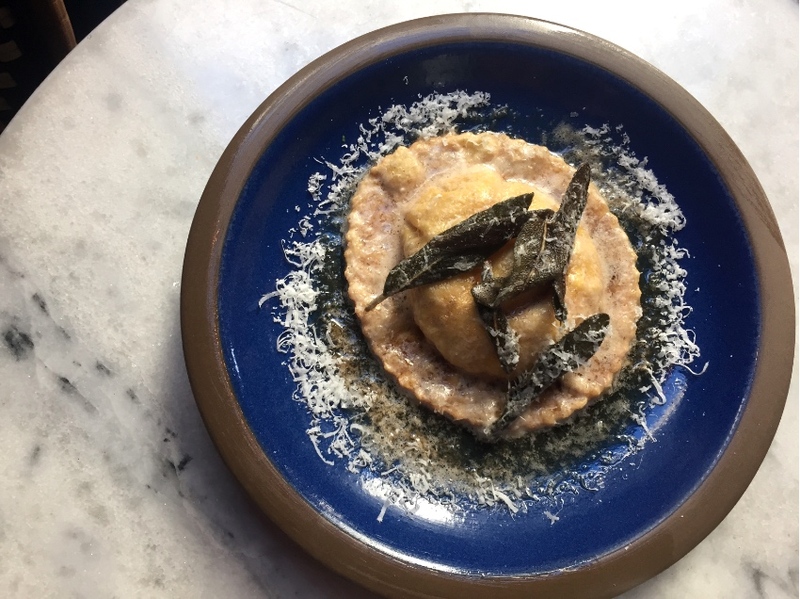 Nestled in Uy’s cozy Downtown wine bar Mignon, Cento (which they originally called Noodles while hosting pop ups at Uy’s loft) will serve a small menu featuring two starters, four pastas, and dessert. Options will change once or twice a week to include whatever local ingredients are really shining at the moment, and most dishes will go for $10 or less. 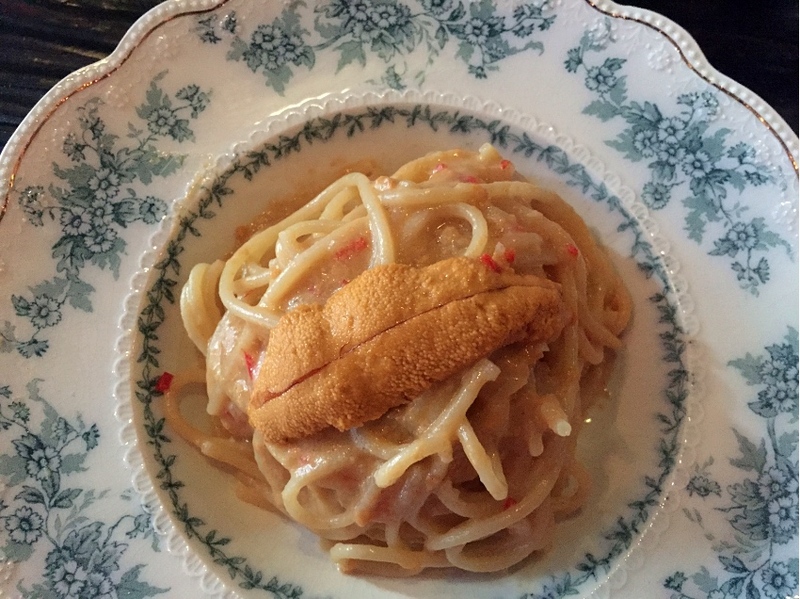 The one exception is the spaghetti with Santa Barbara uni, which is currently listed at $14. 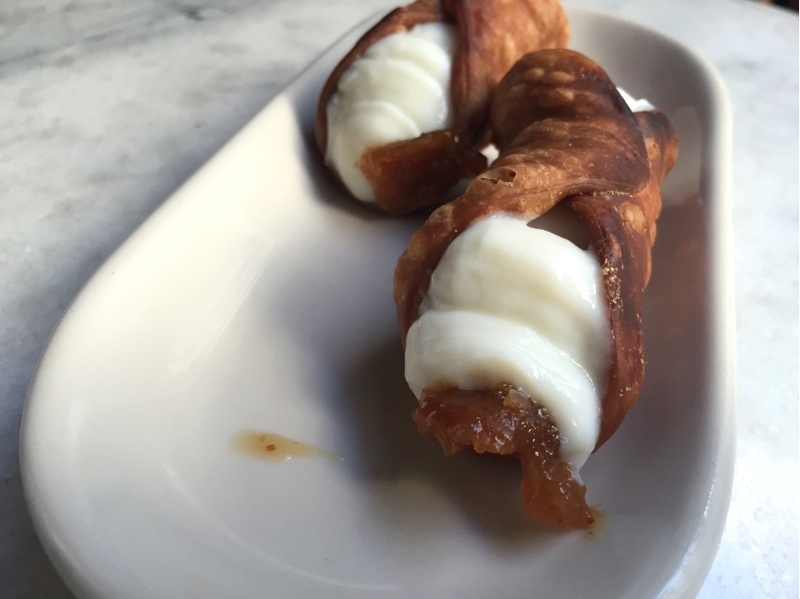 Add-ons like a scoop of burrata are available for $3. The pasta they’ll be serving is a mix of handmade, stuffed varieties and dried noodles (which Lavi says will all be cooked “the right way,” meaning al dente) sourced from mostly small production makers. The debut menu includes a sage and brown butter topped raviolo filled with nutmeg-spiced, small batch ricotta and a yolky egg, orecchiette with a very savory (no sweetness at all) beef bolognese, and a mildly sweet butternut squash agnolotti sprinkled with pepitas and Nilla Wafer dust, which Lavi says is “less aggressive” and “more playful” than the amaretti cookies that are traditionally used. For those that don’t do daytime pasta, the appetizers, currently a fennel, citrus, and onion salad along with crostino heaped with chicken liver pate and drizzled with aged balsamic could make a complete meal. For those who like to really go for it, there’s a special that includes one pasta and any two other items for $18. Desserts are currently panna cotta layered with charred strawberries and 32-year aged balsamic and a duo of crispy cannoli stuffed to order. A quick (each dish is designed to be prepared in 10 minutes or less) and casual lunch is the vibe Uy and Lavi want to hit on at Cento. However, they’re also serving red and white wine by the glass for $6 a pop, plus lambrusco, so a more leisurely lunch is also a possibility. “If people want to hang out for a bit, they can,” says Uy. The pop-up will run indefinitely, and Uy says that going brick and mortar with the concept is definitely something they’re considering. Cento Pasta Bar is located at Mignon, 128 E 6th St., (213) 489-0131. Open Tuesday – Friday, 11 am – 3 pm.